On Monday July 30th, Paramount Network and BET aired the first episode of Rest in Power: The Trayvon Martin Story, a six-part documentary about the life and unnecessary death of Florida teen Trayvon Martin. The Shawn Carter-produced (yes, Jay-Z) documentary series explores the teen’s death, the trial of his killer George Zimmerman, and the gross miscarriage of justice that allowed the latter to walk free. 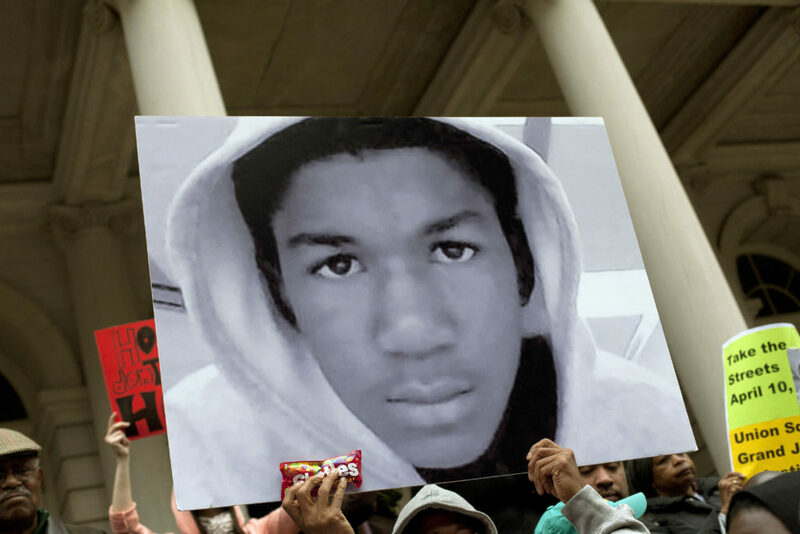 In February 2012, as Martin, 17, was walking alone to his father’s fiancée’s gated community townhouse after purchasing a bag of skittles and iced tea at a local convenience store, he encountered, scuffled with, and was ultimately shot to death by Zimmerman, a member of the local neighborhood watch. Zimmerman had called the local Sanford, Florida, police on the hoodie-adorned teen, reporting that he looked suspicious and “up to no good” and began following Martin in his SUV, against the orders of police dispatchers. According to reports, Martin had been on the phone with his friend at the time, telling her that he believed he was being followed before the call suddenly ended. But by the time Sanford officers arrived on the scene, a mere minute after the call between Zimmerman the dispatcher ended, Zimmerman had shot and killed Martin. Zimmerman, who had a bloody nose and was reportedly bleeding from the back of the head, claimed to police that Martin had attacked him, causing him to shoot in self-defense. Despite photo evidence of blood on Zimmerman’s face and head, a witness told the New York Times that Zimmerman didn’t look like he was injured at the time of the shooting. Martin was killed on February 26th, but Zimmerman wasn’t charged until over a month later on April 11th, a murder charge to which he pleaded not guilty. In July 2013 — a year-and-a-half after Martin’s murder — Zimmerman was formally found not guilty of second-degree murder, having been cleared on the grounds that Zimmerman killed Martin in self-defense. The case surrounding Martin’s death and Zimmerman’s trial sparked a nationwide debate around racial profiling, racial bias, and Stand Your Ground laws, which have been likened to an oft-used legal ground for racial bias. Martin’s death, and Zimmerman’s subsequent acquittal, also sparked the beginning of the #BlackLivesMatter movement. In the years since being found not guilty, Zimmerman—who previously had been arrested years prior to killing Martin—has had a litany of run-ins with the police, including charges of felony aggravated assault for pointing a gun at his ex-girlfriend and domestic aggravated assault for throwing a bottle of wine at a girlfriend, although in both cases charges were dropped at the request of the victim. Just this past May, Zimmerman was charged with stalking a private investigator working on the Rest in Power documentary series, and previously threatened Jay-Z and executive producer Michael Gasparro. The docuseries is currently airing on BET and Paramount Network, and you can catch up with episodes here.